Sarah and Jackie were absolutely great to work with. What we really enjoyed about working with Sarah and Jackie was their process. 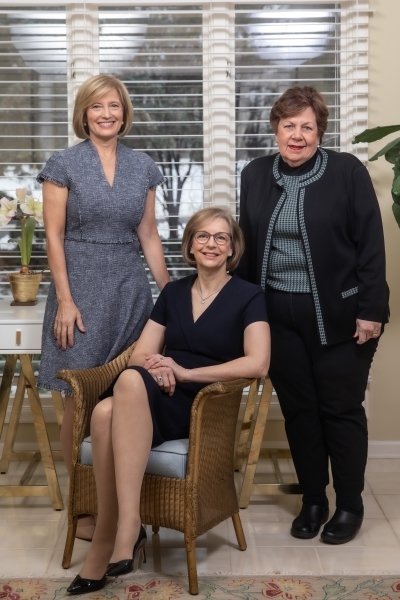 Unlike many agents, Sarah and Jackie will come over to meet with you first, preview your home, take notes on the improvements of the home, finishes, and then schedule a time to come back to provide you a market value. As part of this process, Sarah and Jackie were able to find comparable sales that fit similar qualities of your home rather than using a straight dollars per sqft number. We felt very confident and comfortable working with this team and they were a pleasure to deal with and the results were dead on, we sold for within 1% of our asking price. Jackie Aubuchon was very professional and very helpful. I was very impressed with her ability to communicate with us even though we had moved to Texas. I would recommend Jackie without hesitation. The thing about Julie that impressed me the most was her responsiveness. She was always quick and thorough with her response, and was always well organized. When we went to viewings, she would bring all the necessary paperwork for us to take notes on and would later follow up with disclosures/more information etc. if we showed interest on a property. She was also very patient with my tons of questions, me being a first time home buyer. I would highly recommend Julie to anyone in the market to buy/sell property. We had such an excellent experience selling our home with Sarah's help! She and her team are highly knowledgeable, honest, and go above and beyond to do the best for their clients. Because they work as a team of three, someone is always available to answer questions/host an open house, etc.. We would highly recommend her to anyone buying or selling in the metro Detroit area. Her professionalism, care for her clients, and trustworthiness are unparalleled. She has meticulous attention to detail and works very hard to advocate for her clients. Sarah was an absolute pleasure to work with. As this was my first home purchase, Sarah walked me through every step of the process with patience making sure I understood the housing market, the technicalities in the purchase agreement, the potential for resale, etc. I felt that I made a very well educated choice all thanks to Sarah. "